← How to convert html to ps format? 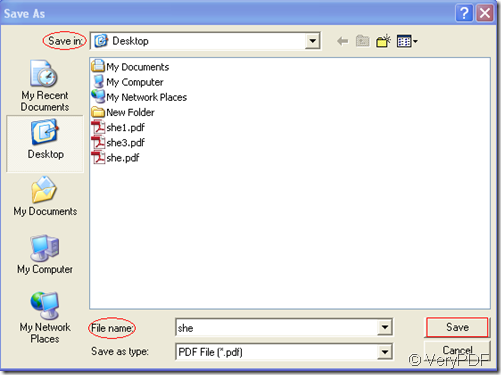 How to create the PDF file with custom page size? Many paper size standards conventions have existed at different times and in different countries. Today there is one widespread international ISO standard (including A4, B3, C4, etc.) and a localised standard used in North America (including letter, legal, ledger, etc.). 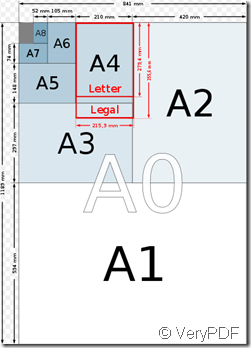 The paper sizes affect writing paper, stationery, cards, and some printed documents. For example,if you are an architectural designer,you will use A0 or A1 often.If you are a writer of a thesis,you should print it with A4 paper. 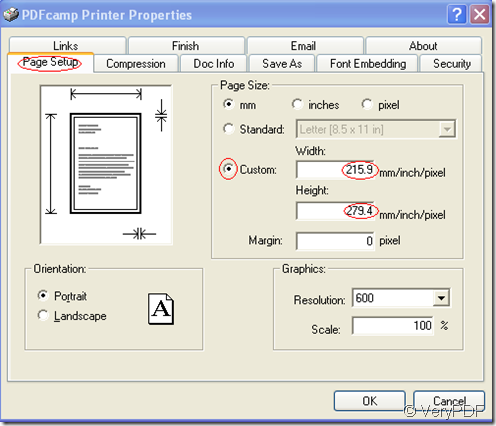 But if all the paper sizes are not suitable,I think the best way is to set the paper size yourself.PDFcamp Printer supplies this function when you print documents to pdf files. 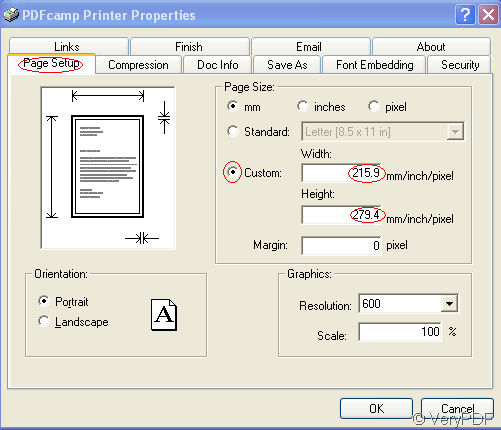 Creating pdf file with custom page size means you can set the page size yourself by changing the width and height of page.I will show you how to do by PDFcamp Printer. Step1.Press “file”—“print” or press “Ctrl”+”P”,then click”properties” to set all parameter. Step2.Click”page setup” and find “custom”item to input the number of width and height to make sure the paper size.Then click “ok”. 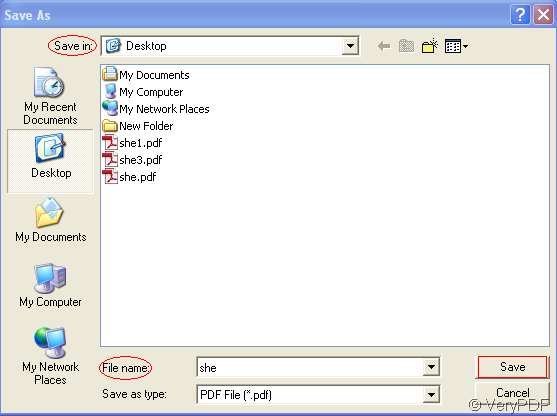 Step3.Name or rename your file and find a suitable location to store your file,then click”save”. If you have done all the steps above,you can see the new pdf file with the paper size set by yourself with the help of PDFcamp Printer. Where to found SaveAs options in PDFcamp Printer x64 version? I want convert PCD document to PDF file, please help me. 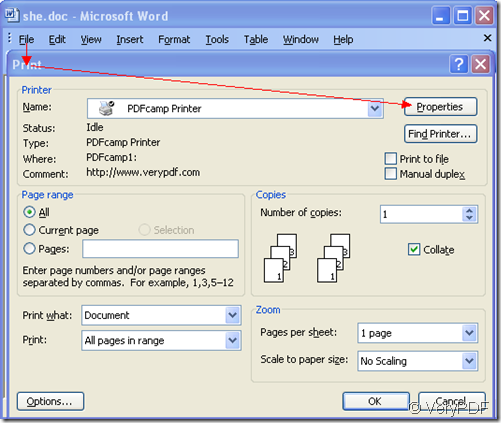 What are the differences between PDFcamp Printer and docPrint and docPrint Pro products? Please let me know the steps to convert my WBMP file to PDF file. This entry was posted in PDFcamp Printer and tagged PDFcamp Printer. Bookmark the permalink.